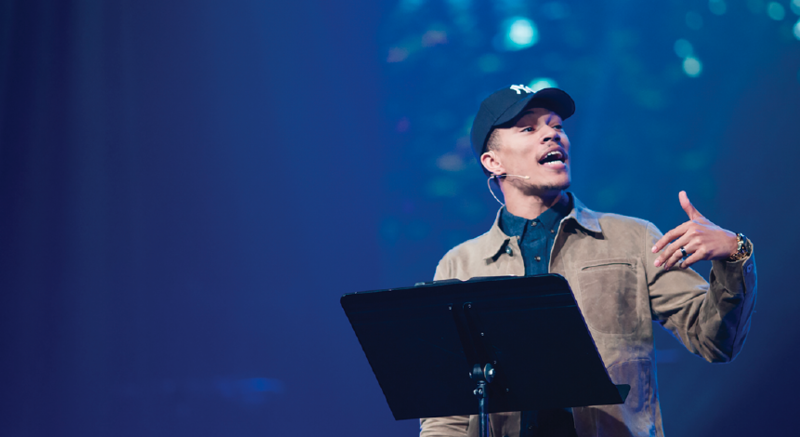 Trip Lee is a pastor, an author, and a rapper. He is passionate not only about sharing God’s Word in a multitude of ways but also making sure that he keeps learning from others, mentoring others, and giving gratitude back to God. When Trip came to Cincinnati to speak at the Catalyst conference this past spring, he took time talk with The Lookout. When talking to Trip or listening to the lyrics of his songs, you sense the gratitude that wells up within him. He gives praise back to God, whether it’s being thankful for his wife and two small kids or whether it’s recognizing the opportunities God has brought his way. “Gratitude fuels relationships—gratitude for what God has done through somebody else. Gratitude reaffirms your love for someone regularly.” For example, Trip said that in marriage, sometimes it can be hard to serve and love and give all the time. But when he and his wife express gratitude toward the other, they are reminded of why they serve and love and give.